DETROIT (Bloomberg) -- Even before former Treasury official Harry Wilson showed up at General Motors asking for a share buyback, the automaker was considering just such a move that could come later in this year, a person familiar with the matter told Bloomberg. GM’s board is considering a second dividend bump or a buyback, said the person, who asked not to be identified because the discussions are private. Chief Financial Officer Chuck Stevens said on a conference call last week that GM would consider “further returns of capital to shareholders” after it has more clarity on litigation costs related to its ongoing small-car ignition-switch recall in the second half of the year. That’s not good enough for Wilson and his supporters, who are pushing GM to decide by the June annual shareholders meeting to buy back $8 billion in shares and to become more open about plans and targets to improve the company’s performance. GM could negotiate a settlement, Wilson said, and he expects the two sides to have discussions before the annual meeting. If GM doesn’t come up with a buyback that he deems satisfactory -- along with public plans for improving the company’s margins -- he will press on with his bid to join the board. Shareholders clearly like the idea. After GM revealed Wilson’s proposal, the shares rose 4.2 percent yesterday to $37.52, the highest closing price since July. GM spokesman Dave Roman said the company has been returning money to shareholders. Since emerging from bankruptcy in 2009, the company bought back $5.5 billion in shares from the U.S. Treasury, instituted a dividend last year and said this month that raising the dividend is a key method for rewarding investors. 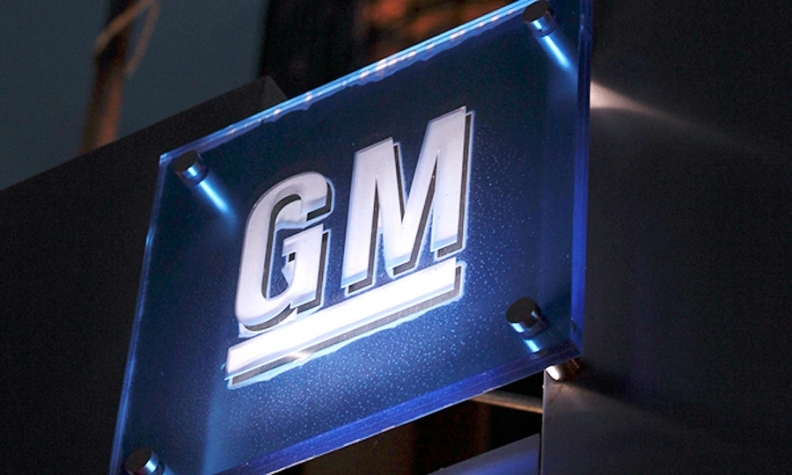 GM will pay more than $2 billion in dividends this year. “We’re going to return excess cash to our owners primarily through a strong and growing dividend and opportunistic actions as appropriate,” Stevens told analysts at a presentation at the Deutsche Bank Global Auto Industry Conference in January. Wilson said GM’s recent history is all the more reason to buy back shares. The company came out of bankruptcy with more than $23 billion in cash on its books courtesy of the Treasury Department. Since then, the company has been able to pay down debt, retire $7.1 billion in preferred stock and raise its capital expenditures by $2 billion this year to $9 billion. After all of that, GM’s cash hoard is now $25 billion, according to slides presented with its fourth-quarter earnings. It reached $28 billion at the end of 2013. Add in GM’s own projection of generating more than $3 billion in free cash flow, and the company can start to pay back shareholders without endangering the balance sheet, Wilson said. Roman said the board will have to consider future cash disbursements to investors. GM shareholders are expecting a buyback or dividend increase, said David Whiston, an analyst with Morningstar Inc. in Chicago. The question really is the size of it, he said. Whiston said GM should first get clarity over its legal costs related to the ignition-switch recall. Starting in February of last year, GM began recalling what would end up being 2.59 million small cars for a faulty ignition switch that is now linked to 52 deaths. GM also will negotiate a new contract with the UAW union this year and may need more cash on hand for that, Whiston said. GM has other reasons to conserve cash. The company has done a good job of avoiding acquisitions or investments in bad technology, said Erik Gordon, professor at the University of Michigan’s Ross School of Business. Now it needs to invest on other areas like self-driving cars, he said. “It is not another Yahoo, where shareholders want cash to go to them instead of another ill-fated acquisition,” Gordon said. “GM could use its cash to be a leader in the transformation into connected, aware and self-driving vehicles." For Wilson and his backers, it’s more than just the cash, he said. They want GM to state more goals for operating improvements, such as making more vehicles using common parts and architectures, and setting target dates to hit them. They also want the automaker generally to be more open with shareholders. The company does set broad targets, such as margin goals for its business in North America and globally, as well as returning its long-suffering European unit to profitability. Wilson wants more detail on how GM will get there so investors know if the company is really making progress.